note: it's not a wip. it's actually working. 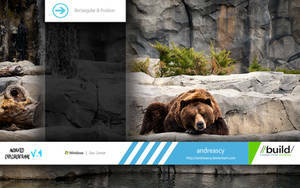 Metro Shell is a Desktop Customizing application made over .NET Framework for Windows 7. It's a taskbar and startmenu replacement. It's a Metro inspired application with seamless integration of Widgets, Internet, and some useful features. Its' also extensible, means that you can create Widgets, that get into Tiles Screen, if you know C# or VB.NET programming in WPF platform. i still use newgen v8. how can i get the lastest ver, friend ? so this is going to be a paid program? I unlocked the blocking. But after clicked ACTIVATE it says: Failed to activate Licence code or code is invalid. don't block metroshell on accessing internet. I looked on the site FTWare but don't see Metro Shell anymore. 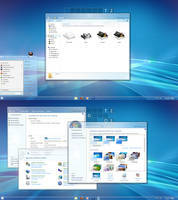 NewGen 9.0 is asome, but where is Metro Shell????????? I tried the Beta and I like it. 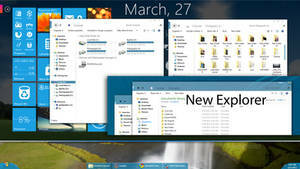 You should tell exactly what it changes, for example, we don't know the new features added by the taskbar ! sorry i can't tell when. taskbar = 60% - still fixing thumbnail bug issue. less memory usage = done. Metro very convenient interface., Different colors.? Every day i am looking,. I know and can imagine that it is a great job to do, but i am so curious about it. Can you show some more picture yet? ps: can you tell me what OOBE on NewGen does? When will it be in beta version for test? 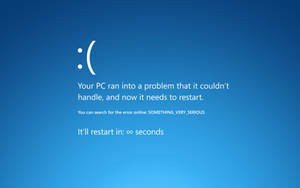 we have some problems on metrotaskbar. we still trying to fix it before the release. Awesome bro! Any idea of release date? Dunno when. we have problems on thumbnail grouping on "metrotaskbar". I have Newgen and are also a follower on the FTWare. this will be great and looks already good. Wow! Thanks for the support man! I really appreciate it! Nice work. Your idea is amazing, keep the good work! Fav! Thanks alot bro! Glad you like it. Will this work alone or only in combination with Newgen? It's a fresh codes. we just made the widgets of newgen to work/compatible on metro shell so that we don't have to make new widgets in this new project. 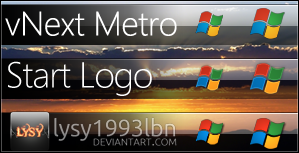 btw about the metrotaskbar, we succeeded adding the "exclusion list" function. 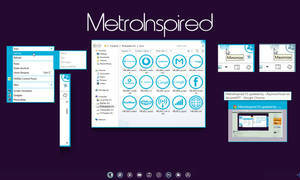 also metro shell is not intended to copy startscreen of win8. we are making it to be more useful than newgen. Metro Shell consumed less mem usage. Metro Shell has sidebar. has some useful items to ease of access. like notes and media player. Metro Shell has "refresh" function. clicking it will refresh the mem usage of metro shell. this function is really interesting too. Settings window has great animation and when applying settings it will refresh the mem usage too automatically when closing settings. also Metro Shell has cool animations. Sounds very very good. I'm sure it will come out great. yeah very interesting work Raymon..cool idea changing taskbar's and startmenu's style and role..really impressed my friend !!!!!!!! Thanks my friend! Still working on aeropeek and grouping on metro taskbar. Metro Shell has low mem usage too than newgen. this is great..im looking forward to try this thing..niceee raymon !!!!! Thanks bro! I hope we (neeraj and i)can release it soon.